I love Rapper Fabolous! And now he and his long-time girlfriend, stylist and shoe designer, Emily Bustamante are expecting again. This mom to 16-year old Taina Bustamante is a sweetheart and I found her quite endearing on the few episodes of Love and Hip Hop I've seen. She is a cast member and star of that VH1 docu -series and also has a 6-year old son named Johan with Fab. 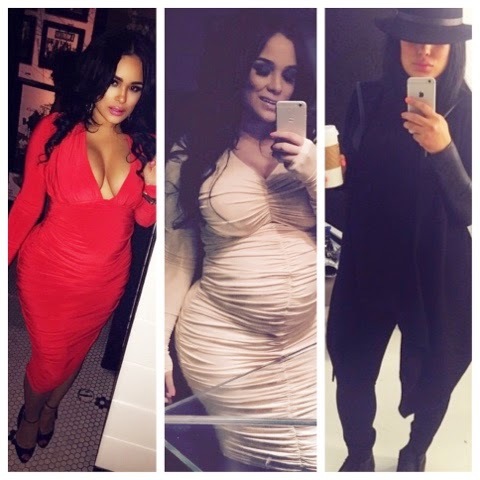 And peeping her Instagram, I am also loving her sporty-vixen-edgy maternity style.